Kim M. Longo represents debtors, trustees, creditors and other parties in interest in bankruptcy proceedings of varying sizes. Her bankruptcy experience spans the many stages of reorganization and liquidation, including general estate administration, the assumption and rejection of contracts, the sale of some or all of a debtor's assets, the prosecution of avoidance and other actions, and the determination of claims. Most recently, Ms. Longo has been a supervising attorney in the firm's representation of the Trustee for the SIPA liquidation of Bernard L. Madoff Investment Securities LLC. Ms. Longo also has significant experience representing secured and unsecured lenders, borrowers, and equity participants in connection with the origination and restructuring of various financings, including senior, bridge, and mezzanine loans, joint ventures, lines of credit, syndicated loan participations, and factoring arrangements. She has negotiated and closed numerous loan and equity transactions for both distressed and financially-healthy companies. She also reviews and negotiates legal opinions and provides advice as to the structuring of transactions to address bankruptcy concerns. Prior to joining the firm, Ms. Longo was an associate in the financial restructuring department of a large New York-based law firm. While attending New York University School of Law, Ms. Longo was a member of the Annual Survey of American Law. She worked as an accountant prior to receiving her law degree, earning her license as a Certified Public Accountant. 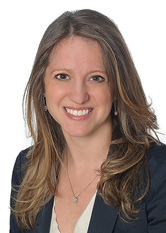 Ms. Longo is a member of the International Women’s Insolvency & Restructuring Confederation. The Best Lawyers in America - Bankruptcy and Creditor Debtor Rights / Insolvency and Reorganization Law (2019 edition).